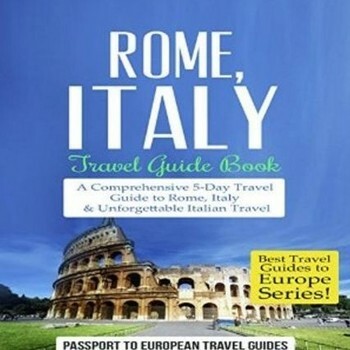 A comprehensive five-day travel guide to Rome, Italy and unforgettable Italian travel. Journey to the Center of Rome, Italy! "Italy has changed. But Rome is Rome." (Robert De Niro) And if you've yet to experience this historical masterpiece, what are you waiting for? Passport to European Travel Guides offers this comprehensive, yet quick and concise, five-day guide to Rome - one of the world's most iconic cities to visit. Have no idea where to start? Or maybe you have some idea but could use a treasure trove of great insider tips? Well, listen up! You see, we know your trip begins long before you even book the flight, so this guide is chock full of dynamite tips on everything you need to know before you go - and much, much more that you'll thank us for!